Continuing with out never-ending pile of wireless products, we have a nifty piece of hardware in our labs today. 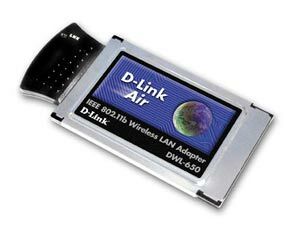 The D-Link DWL-650 802.11b wireless standard compliant PC Card for laptops is a great device if you want easy internet access at any point in your house or office. Also, it's a great thing to see the dazed look in your friends' faces when you're packing a laptop through the house downloading movies. There are many companies that now manufacture 802.11b compliant products as of today. This is supposed to be a bad thing? Not really, since the IEEE 802.11b protocol is standard, you can have one company's access point and another one's receiver and it'll work just fine, they are all compatible with each other. In fact, just to test that out, we have a special treat at the end where we use Sohoware's Access Point with D-Link's USB and PC Card receivers. Back to the hardware of the hour, we talked about how having a wireless laptop is a cool thing but we didn't mention it's convenience. If you like lounging outside or just work from home, it's easy to get sidetracked and suddenly you find yourself in front of the TV with the computer in the other room. Having a wireless connection to the internet is convenient because you never have to be too far away from your work. Also, it's really a good thing to be ready to work anywhere in the house, a real productivity killer app. So without further procrastination, we'll get along with our review of the D-Link DWL-650 802.11b wireless PC Card.